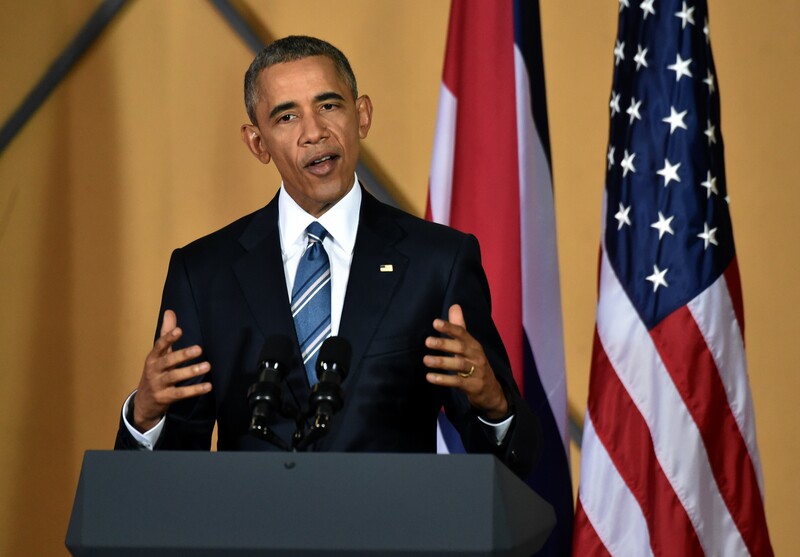 Before giving a speech in Havana, Cuba Tuesday morning, President Obama spoke briefly about the Brussels attacks, delivering a statement that we should all take very much to heart. "We must unite. We must be together regardless of race, nationality, or faith," he said to the crowd and the people watching at home. It's a simple statement, and one that echoes his past statements in the wake of terrorist attacks in other parts of the globe, but it's also exactly what we need to do in the wake of any act of terrorism. It's so easy to feel disconnected when terrorism strikes in a place that we're not familiar with or which we have no personal connection to. It's easy to simply say that it's sad and that you wish you could do more to help, but to feel helpless from afar. In one short statement, the President touched on the exact measure that we can all take: We can shift the way that we think about our involvement with victims across oceans or continents. It's not about where you're sitting in the world, where you're from, or whether or not you could name a single citizen of an affected city or country. It's about recognizing that when attacks like the one in Brussels take place, we are all affected. "We must unite," as President Obama says. We must view ourselves as citizens of the world, and thus allies to those victims in Brussels and the victims of terrorist attacks before this one. He may not have said much regarding the attack, but in a few short words, President Obama made a huge impact. Here's hoping we can live up to those words, unite, and support these victims as citizens of the world, rather than citizens of another nation.